.... Evan has a crush...... oo la la. *Arcee Pattinson sinkers* I don't care who ya are dat's funny right therre. GEDER DUN. yes arcee i have a crush! he is the sun in my night, the joy of the partay. lol stupid am I.
lol arcee I like him too. The twilight series brought light into my life! 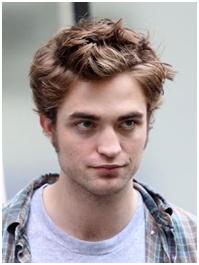 (Yeah, but mostly Edward (Robert).